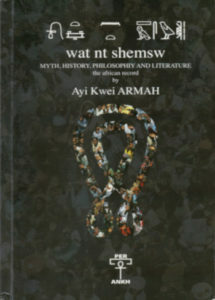 In Ayi Kwei Armah’s The Way of Companions Myth, History, Philosophy, and Literature: The African Record takes you out of Plato’s cave and into a sovereign egalitarian African future. This book is a guide to lead AFRICANS WORLDWIDE out of our slave/colonial inculcation so that we may embrace a future of dignity…a restored African humanity! Those of us who find solace in embracing the dynastic period of KMT as our crowning achievement (pun intended), will be disabused of this epistemological error, and come to see pre-dynastic KMT as a proper basis for an egalitarian future. Armah rectifies the popular understanding of Liberalism and properly denounces it as a pathological ideology.